As we finish 2010, I’m pleased to present our final guest of the year… Sherry Thompson. Her’s is a truly inspiring story of faith and persistence. Though I must caution you… her tale is not one of the glamorous rise to stardom that aspiring authors imagine. Her tale represents the more realistic aspect of working your tail off to accomplish something you feel God has led you to do. It’s about hard work and perseverance, a rare commodity in today’s microwave society. Having your novel published is not “automatic,” as Sherry will tell you. Sherry Thompson is the author of the YA fantasy books Seabird and Earthbow, both published by Gryphonwood Press. She has a BAAS from the University of Delaware, where she worked as a Librarian for thirty-five years. 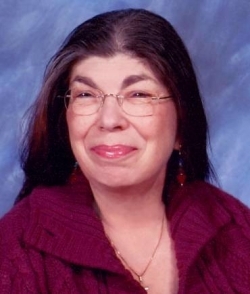 Since retiring, she has finally been able to live the dream of being a full-time author, by participating in writing groups, conferences, and seeing the publication of her long belabored fantasy series. I’m very glad to do it, David. I think it’s extremely important to share our writing experiences. The next time I go through a setback, I’m going to remember your journey, brush myself off and keep pushing against that wall. Yeah, I’ve gotten a few bruises pushing against that wall but if I hadn’t, then Seabird would still be in manuscript. Re the “honesty”, when Keven first asked me to write a NAF entry, I strongly considered leaving out bits and pieces of my story. I figured people would be bored if they had to read through every last detail. I admit I wasn’t given NAF authors enough credit about wanting to learn about the publishing industry. My mistake, and my apologies! I’m very glad now that I “let it all hang out”. I have yet to read your work, Sherry. Although a few of my friends have recommended it on several occasions. Guess I know what will be in my reading for 2011. Thank you for sharing your story with us. God bless you, sweet one. Diane, that’ very kind of you. I appreciate all of the blessings I can get. I’ll be curious to hear what you think about Seabird. Curious and a little freaked. Confession: I get anxious any time someone new starts reading my work. I’ve read Sherry’s books, and I am here to attest that the girl. Can. Write. I read Seabird and it immediately went into my list of top favorite fantasy novels. Thank you, NAF people, for featuring her! She deserves this recognition–not just for her perseverance and dedication, but because her books ROCK. Kat, I’m plain flabbergasted by your words. You have become one of my top “cheerleaders’ over the last year. I really appreciate it! Sherry is an inspiration. And having written three of those 5 star reviews on all three of her current books, I encourage anyone who hasn’t read them, to spend some of your Christmas money and get them. They are very much worth reading, and deserve a wider audience. Thanks, Rick! I’m looking forward to spending a little of my Christmas money on your new Ethereal Worlds antho, once it’s in paperback. May it do better than the average antho! Sherry is the Eveready Bunny of writers! Seriously, Frank, thanks for the help with early Earthbow passages! I think this is the most informative piece I’ve yet to read about writing and getting published, no bells and whistles, purely realistic! Sherry, you do write long, but that makes me feel better and encouraged. I want to write but that has always been my problem, I thought, but I see there is success for long-writers and I see it takes time. Encourages me to be patient with myself. Will be looking for writer’s workshops, any suggestions? I look forward to reading more of your post. Hi, Melanie, to a fellow long-writer! There’s a market for us–keep that in mind. The writers workshops I wrote about in the blog entry were those held as part of SF/Fantasy conventions. Each convention is different, and I’m afraid I only know about ones in a limited area around where I live. All I can suggest is that if you intend to go to a convention, check their website early and see if they offer a writers workshop. Very big stand-alone workshops include Clarion, Odyssey and Viable Paradise. These require a considerable commitment of time and are not for the faint of heart. Try the web for details. This really is an encouraging piece. Realistic. Drives home the fact that, even when the writing is very, very good, publishing is not automatic, and hard work and more than a little providence are needed. Thanks for the insights into the world of publishing! I’ll add my name to the list of those who have read Sherry’s work and have loved it! Seabird is a fantastic book, highly recommended, and I am currently reading – and enjoying – Earthbow Vol. 1! I’m glad that some people are finding my input “encouraging”. I think the entry can be taken both ways, depending on the mindset of the reader. Frankly, I don’t think I could have handled all of this information at one time back in 1979. I was so naive! Definitely, hard work, patience and providence are all needed in order to get a book published. Even more essential is the need to write and the will to keep writing on those days when it seems the hardest. I still have to remind myself of all of this every day. I’m grateful to be published, but I can’t just sit back and enjoy. I have more to do. Thanks for your praise of Seabird. I hope that you continue to enjoy Earthbow as you read on. I’m always glad to plug the Written Remains Writers Guild. You guys and the Lost Genre Guild are my main buddies! Thanks for the compliments but really all I did was tell it like it was. Re networking, frankly I’m not that good at it, when out of my regular social circles. I try very hard when I’m at conferences but I can’t hold a candle to most authors. A lot of times i feel that some will take my enthusiasm, my zeal, my “overwhelming” positivity for ignorance. No, I am all those things first, because God said to believe but also because I’m putting in the work.